My wife Jo and daughter Lindsay coordinated a weekend rendezvous in Lafayette to meet our son Eric and his wife, Ana, and the grandbaby, Isabella. Since they live in Houston and we live in Cut Off, Lafayette was decided as the happy medium to cut down on the driving time. Ana’s sister, Lucy, and her boyfriend, Cameron, also decided to join us for the weekend after driving in from Austin, Texas. After a good night’s sleep, we were all in the mood for a good breakfast. 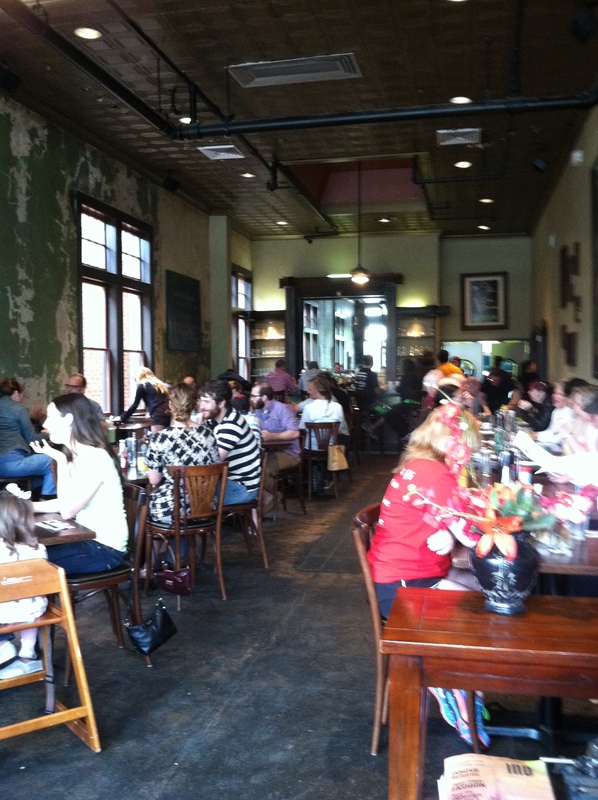 A decision was made to eat at the French Press, a French Quarter-style restaurant located in downtown Lafayette. This casual dining restaurant is famous for its brunch, which was recognized by Saveur Magazine as one of the top 100 inspiring places and things to eat. The food crosses aspects of both Cajun and American cuisine. 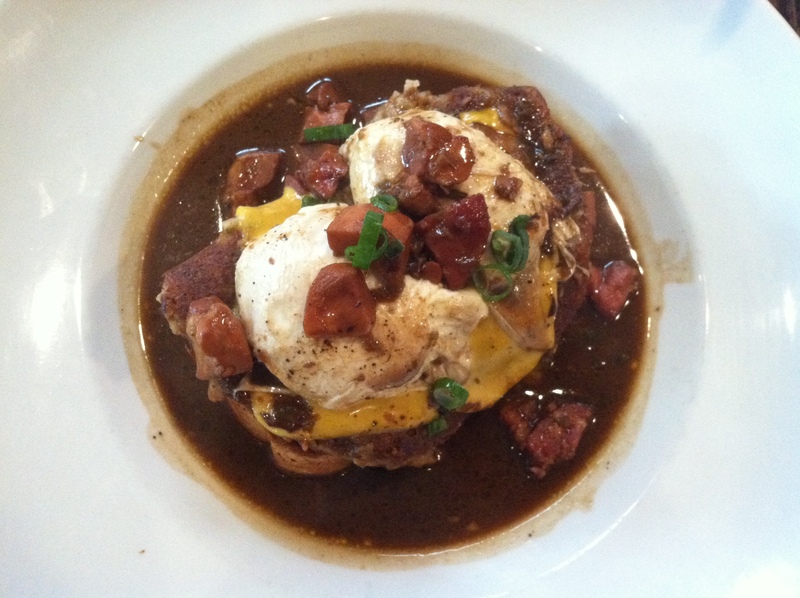 A classic example is the Cajun Benedict. This is toasted French bread smeared with boudin that has been taken out of its casing, two poached eggs are added and then topped with a very dark chicken and andouille gumbo. The description of this dish sounds heavy and quirky, but it actually works. The French toast was awesome. 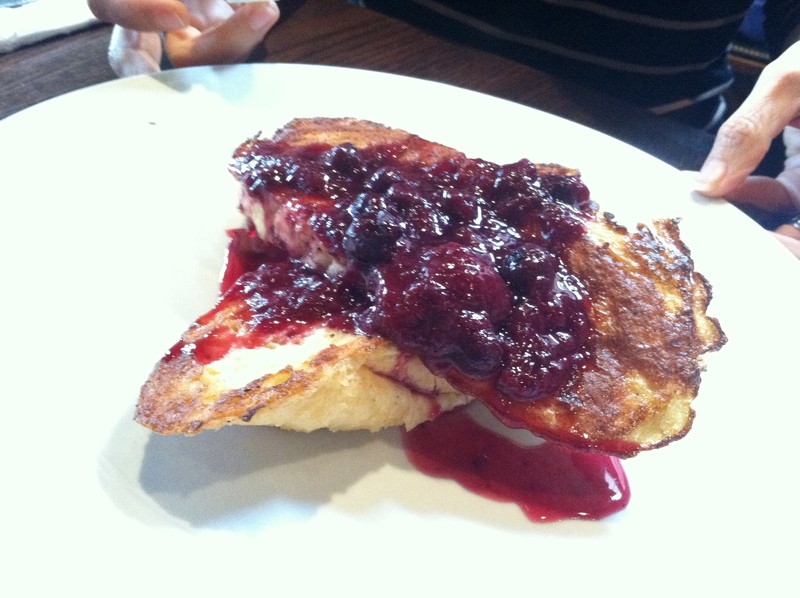 It was stuffed with blueberry and cream cheese, complimented with a blueberry champagne compote. Pancakes were plump and airy, coming in a stack of three with choices that included blueberry, candied walnut, blackberry and toasted pecan. Breakfast sandwiches, homemade granola, grits and grillades and chicken and waffles are some of the other items offered for breakfast. By the way, the French press coffee was excellent. The service and ambiance was impeccable, with prices being quite affordable. If you’re in the area, I would highly recommend this place. The next morning, we stopped at Poupart Bakery for pastries and coffee. 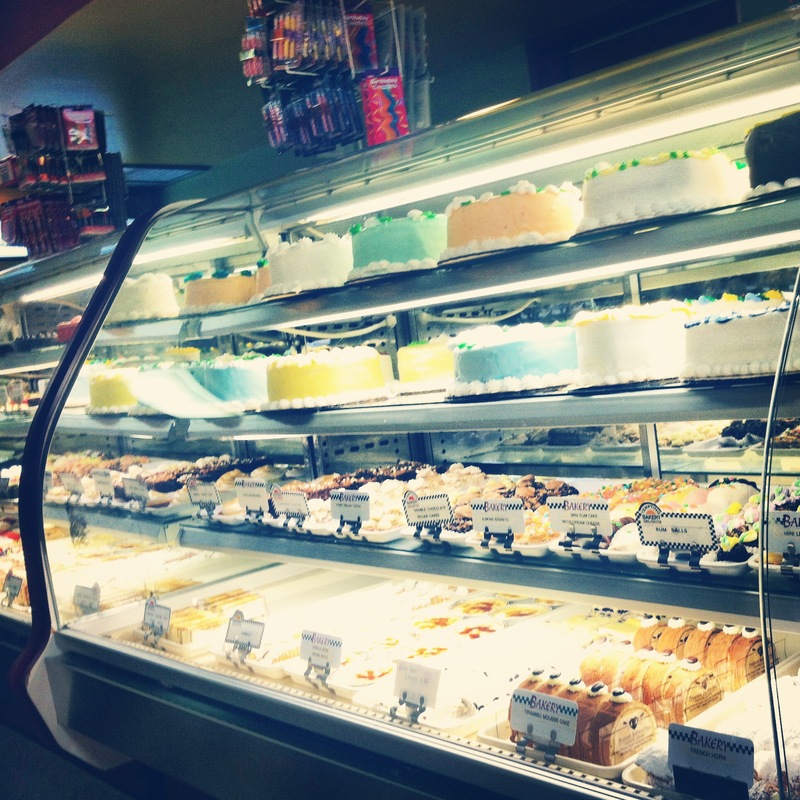 Since 1967, they are the only authentic French bakery in Acadiana. The people working here are so friendly, the choices massive, and the prices very reasonable to the point of being cheap. Lemon macaroons for 44 cents! While drinking coffee and eating our goodies, complimentary homemade French bread with butter and homemade preserves were brought to our table. I can see why this place was packed when we left the bakery. Before leaving for home and saying our goodbyes, we had a nice lunch at Jolie’s Louisiana Bistro. 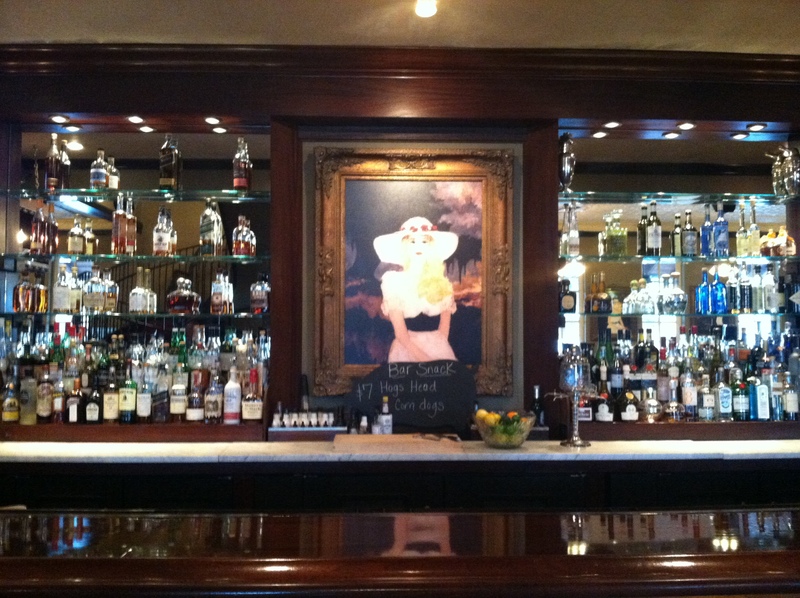 The upscale restaurant features Louisiana cuisine and variations on New Orleans Creole classics. Thirty-five canvases depicting early Cajun life by famous Louisiana artist George Rodrigue adorned the walls of the restaurant. Rodrigue is known worldwide for his Blue Dog paintings. Ana thoroughly enjoyed her oyster poboy with horseradish remoulade. Ditto for my wife, who had the fried catfish sandwich with a pickled onion aioli. 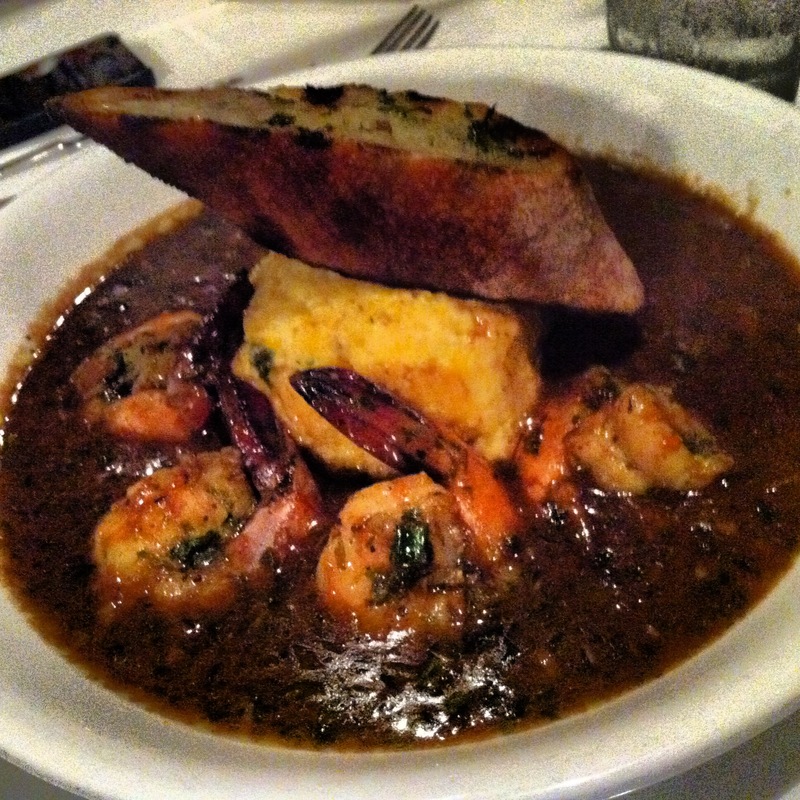 Eric, Cameron and Lucy had the New Orleans style barbecue shrimp and grits. For some reason, I was not particularity fond of the flavor profile of the sauce. 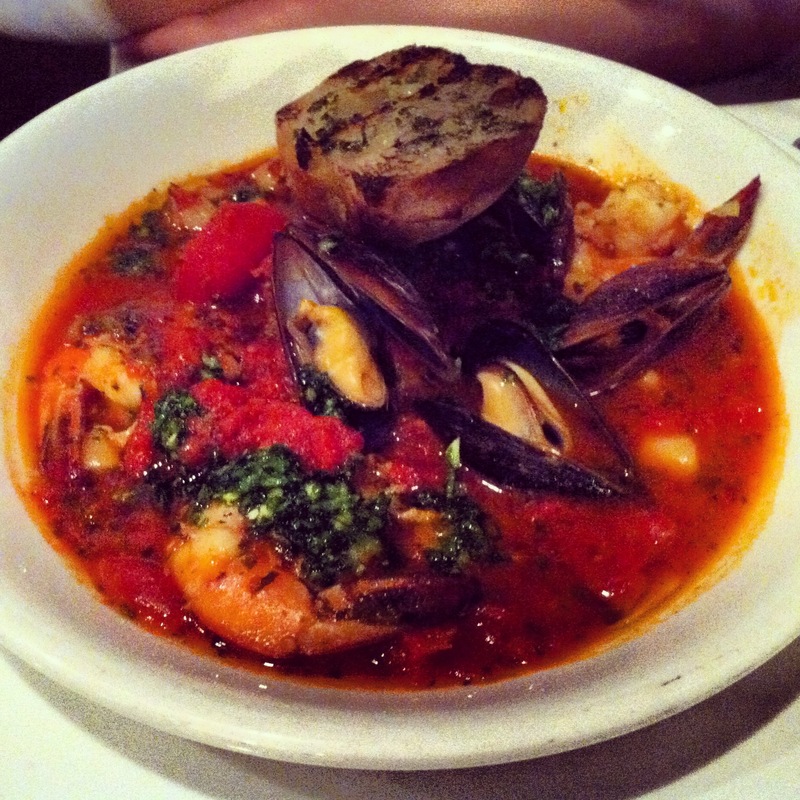 However, my entree of cioppino stew made me very happy. The light tomato broth packed loads of flavor with its bounty of seafood, which included shrimp, mussels, scallops and a soft shelled crab. The addition of a garlicky rouille to the broth made it easy to dip grilled French bread. Other items offered were roasted oysters three ways, which included a Bienville, Rockefeller and Jolie. 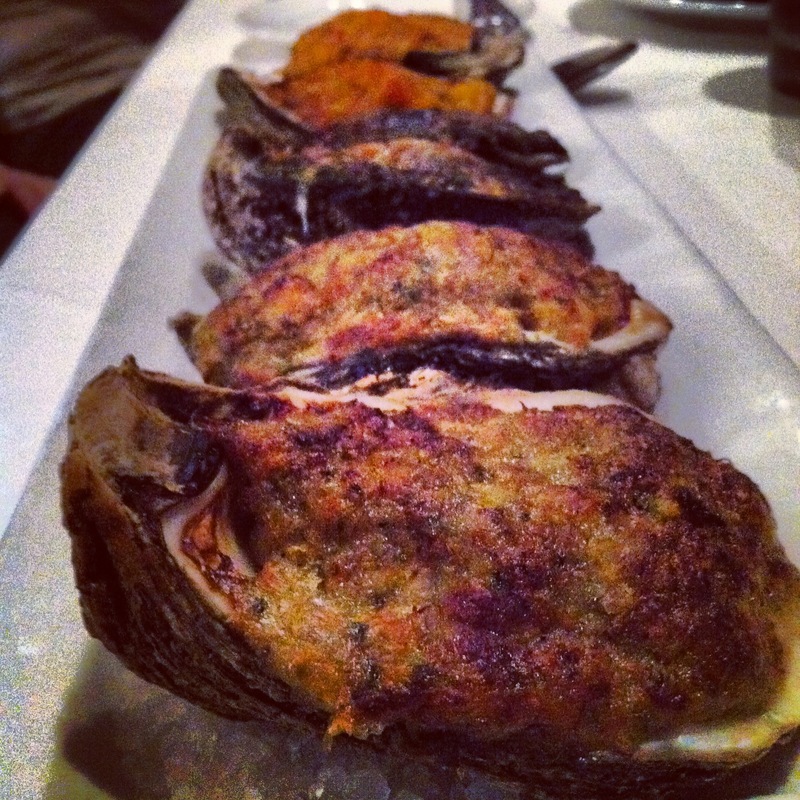 The Jolie had a crawfish, corn cream sauce over the oyster and then topped with breadcrumbs. There was also a Zapp’s Crawtators-crusted drum that’s pan-sauteed and then topped with a crawfish cream sauce. Our experienced waiter was attentive and knowledgeable, which aided in making Jolie’s a very nice dining experience. Not only was it great to see family and friends again, but we also got to eat some really good food at some really great restaurants in Lafayette. Uncle Loyal I love these blogs! I had no idea you were joining in the blog world. Keep up the wonderful critiques and articles! I look forward to reading your next pieces of work!